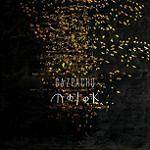 More information: Following 2014's lauded album Demon, Gazpacho are set to release their ninth studio album entitled Molok. This will be the sixth album in a series of concept records that started with the critically acclaimed Night in 2007. The album sees the band continue to push the boundaries for creating the most complicated and strangest concepts for a record while simultaneously becoming the first band ever who are actively trying to destroy the universe with their album. A small code that sounds like a strange noise at the end of the album will cause the correction software that runs in all CD players to generate a random number every time the CD is played. If that number should correspond to the actual position of all electrons in the universe then technically the universe could be destroyed!